So I made a cake that was inspired by a picture I saw on Facebook for my daughter’s first birthday. The vanilla cake recipe is from The Cake Boss but the added colouring gels is my add-on. Because I could only fit 1 pan in the oven at a time, I halved the recipe. The measurements below are for 1 layer of cake. Thank you to Gail for telling me about colouring gels, they work so well. The decorations are up to your own imagination, but because I’m not good at piping icing, I replaced the edges with stars bought at a shop. The trick with the colouring gel is to remember that the cooked cake will come out a lighter colour than the raw cake mix. Add the flour (I put my flour through a sieve), baking powder, milk, oil, vanilla, and colouring gel and beat for another minute. Pour cake mix into tin and bake for 20 mins or until a skewer comes out clean. Immediately take out of tin into cooking rack. Stack one layer on top of each other with wax paper in between once slightly cooled to allow the weight to press the cakes into non-raised layers. It will reduce the gaps when stacking and icing. Wait for all layers to cool completely before icing. 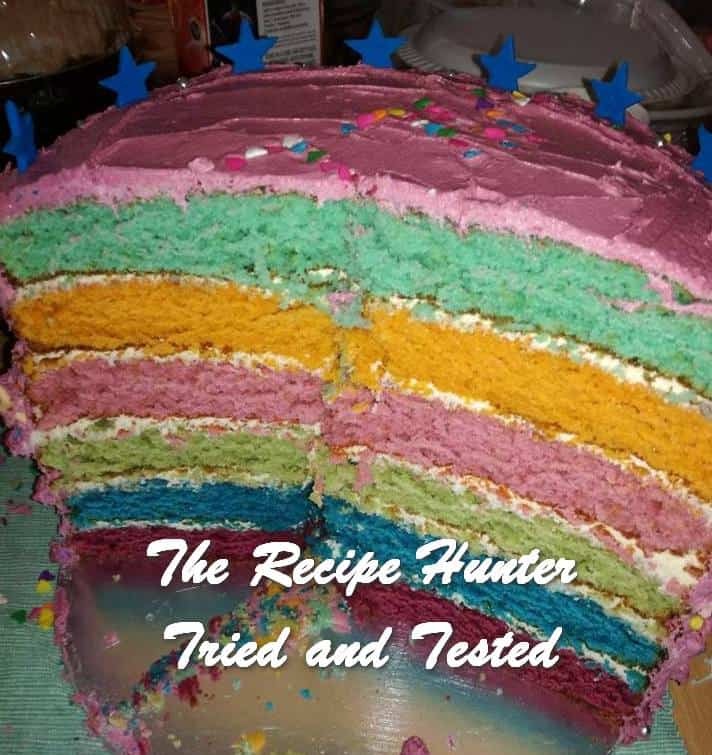 I used plain white butter icing for in between the layers and coloured icing for the top and sides. I now regret it. I started a blog again, starting all over again obviously. I would appreciate it if you would check it out and let me know what you think, if you don’t have time that’s alright I understand. Hi Doni – Glad you’re back on WP, I am following you, thank you for th https. Now that you ahve a new blog, would you like to showcase your blog and do a G…uest Post here, it will help both of us. What do you think???? Hi Doni. 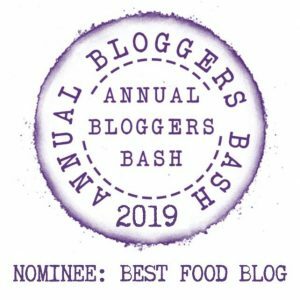 Although I run a food blog, this month, you can share any post you wish on any topic of your choice. I have done the invite, hope you receive it shortly. I am flattered that you wish me to do a post on your blog. As mentioned I only have foodie posts, so not sure if you want one of my very own recipes. Let me know, as I will be honored to do so.